Auschwitz is a museum. The smoke has now dispersed, and each generation to the end of history must make peace with the past and resolve to live with its ability to attempt genocide. Andras Mezei, who has just died in his native Budapest aged 78 years, has left behind a retrospective exploration of the Holocaust for our time. His voices of the past address us with urgency and directness unheard within museum walls. There are many voices of the Holocaust speaking to us of terror, folly, greed, cruelty and absurdity. They could be incomprehensible; Mezei's poetry makes them sound like our own voice. Mezei is a major Jewish-Hungarian poet. He survived the Nazi attempt at the "ethnic cleansing" of Europe as a child in the Budapest Ghetto where some 17,000 souls perished around him from hunger, disease and the fancy of uniformed bandits. Unlike other great poets of the Holocaust like Paul Celan, Primo Levi and Miklos Radnoti, Mezei declines to come to terms with death — indeed, his work is a celebration of the unconquerable spirit of his people. And unlike Anne Frank, he had the luxury of time to give voice to the concerns of the victims at the height of his literary powers. I need not wake up anymore? with the spilled blood of our menfolk. stares back at them from my face. and blue eyed also are the victims. leaping through to reach out towards them. towards her: Mother, take me, me, me! declined the choice. She left alone. She informs God, I have three! for the sore foot of the guardsman. The people stripped off their garments. They did not weep. They did not shout. They did not beg for mercy. rejoiced in rings of laughter. has not yet gathered in my heart. themselves have kindled the burning bush. Suddenly I speak in my mother's voice. Suddenly I speak in my father's voice. A dreadful silence, even at Yom Kippur. My Lord, there must have been a weighty reason. my Lord — there must have been a weighty reason. My daddy's lost children: Eve and little Joe. My mummy's lost children: Stevie and little Paul. My daddy's marriage, a legendary love match. My daddy declared: his parents' graves lay here. their parents' final resting place. the death of mummy's husband and daddy's wife. my daddy yearned for babies more and more. after daddy's late daughter. I live in their place. to hang on to the strap. if I forget the mark on my left. ANDRAS MEZEI (1930-2008): poet, novelist and editor, a major chronicler of the Holocaust. Unusually for a Hungarian poet, his work won early recognition in several European languages as well as Hebrew. He was a literary journalist most of his life. After the collapse of Communist administration, he founded Budapest City Press and the literary-political journal CET that forged a leading role in the debate and reconstruction of Eastern Europe. He published a substantial volume of collected poetry shortly before his death. He is survived by the poet Judit Toth, his companion over the past 15 years, their daughter Anna, and his son Gabor from his late wife Magda Szekely, another noted Holocaust poet. András Mezei was a many-sided and accomplished Hungarian writer and poet. One of the defining experiences of his life was the period of Nazi terror in German-occupied Hungary during 1944. His father perished in Auschwitz and although Mezei himself survived, the suffering he and hundreds of thousands of Hungarian Jews underwent left an emotional scar on him for life. in this world, the God of which I do not know. After the war, Mezei trained as a locksmith and a lathe operator before leaving for the newly established state of Israel in 1949. After a year and a half in Israel, he returned to Communist Hungary, where for some years he worked as an engineering technician. After the suppression of the 1956 revolution he was considered reliable enough to be given a job in the thoroughly purged press department of the Ministry of Education. His poetic début took place at about the same time, in the notoriously unrepresentative verse anthology Tuztánc (Fire Dance, 1958), in which, instead of poetic talent, political reliability was the measure. This, however, gave a boost to Mezei's career, for from 1958 until 1992 he was a frequent contributor to and a member of the editorial board of the weekly Élet és irodalom. During this period he studied Hungarian literature at the University of Budapest. Though in the initial years of the Kádár regime Mezei unquestioningly accepted the policies of the Communist dictatorship, with time his views underwent a change, and his interest in Jewish culture re-emerged. He was no longer able to deny that the 1956 revolution had succeeded in some measure, by achieving more freedom and better living conditions for Hungarians. And as a result he wrote the script of Szerencsés Dániel ("Lucky Daniel", 1983), one of the first Hungarian films to address the issue of the Communist régime's lying clichés about the uprising. Also during the 1980s he began to explore the contradictions of "Socialist" society and wrote a number of polemical pieces which were collected in Ilyen gazdagok vagyunk? ("Are We that Rich? ", 1981) and in Ki beszél itt már Mexikóról? ("And Who Still Talks Here about Mexico? ", 1986). An interesting collection of his essays, mostly on the Jewish-Hungarian dialogue, was Kettos kötodés ("Dual Belonging", 2003). From his first collection Torlódó ido ("Piled-up Time", 1961) onwards András Mezei kept returning to Jewish themes. Some of these relate to his immediate family and some to Old Testament figures, while others are inspired by two famous sculptures by Michelangelo, Moses and David. These poems are more convincing than Mezei's efforts at creating grand "revolutionary" syntheses in the manner of his poem "De profundis . . ."
His poetry, first influenced by the poets of the Ujhold ("New Moon") generation, gained strength by absorbing surrealistic techniques which are already apparent in the poetic selection Fehér malom ("White Mill", 1978). It was, however, only after the change of régime that Mezei was able fully to return to his favourite subject, first with Zsidó versek ("Jewish Poems", 1990), then with Adorno (1993). The latter collection, some of its pieces translated into English by Thomas Land, was a poetic collage of eye-witness accounts of the Nazi persecution of Jews, both in Hungary and elsewhere. It is partly based on the works of Hanna Krall and Marek Edelman, but also contains poems which signal acceptance of the poet's dual identity: "I did not ask God/ to be born a Jew – so I have no/ chance to choose" ("They Chose Me"). In 2007 a large collection of Mezei's verse was published in Budapest, entitled Hármaskönyv ("A Triple Book"). In 1992 Mezei launched the publishing house Belvárosi Könyvkiadó (City Publishing House) and a year later the cultural periodical C.E.T. ("Central European Times"). As president of the Hungarian-Israeli Friendship Society from 1989 onwards, Mezei was invited to Israel several times and he also visited England on one occasion. Amongst his literary awards, the Israeli Kotzetnik Prize (1986) and the Hungarian János Arany Prize (1997) were the highest. 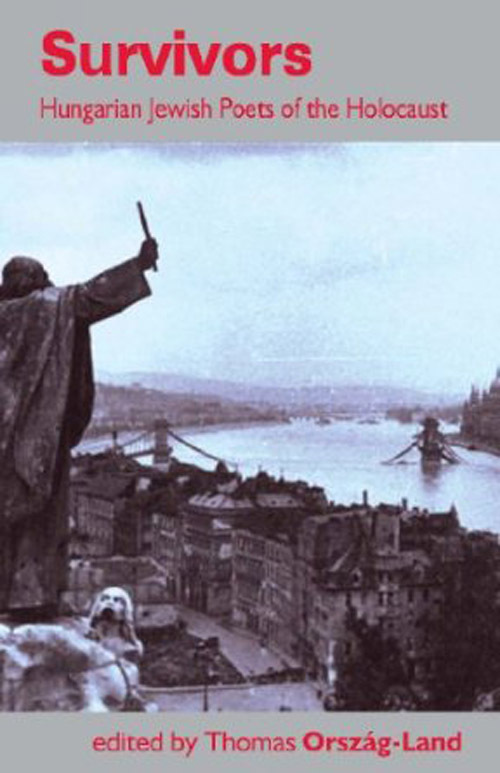 A novel set in the Budapest of 1943-44, A csodatévo, was published as The Miracle Worker in Thomas Kabdebo's English translation in 1999. Mezei's poems in the anthology In Quest of the Miracle Stag, Vol II (2003) were translated into English by Peter Zollman and Thomas Land. 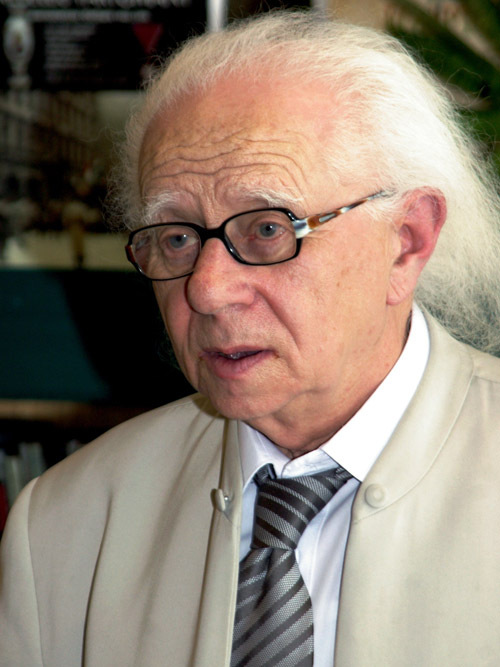 THE POETRY of András Mezei (1930-2008) is attracting great attention in his native Hungary during the country’s Holocaust Memorial Year of 2014, marking the organized murder in 1944 of close to 600,000 citizens in Auschwitz and elsewhere. The victims were mostly Jews; they also included Roma, homosexuals and some political dissidents. That crime, perpetrated by the Hungarian state in collaboration with Nazi Germany, occurred in the final phase of the Second World War when an Allied victory was already obvious. This year’s memorial celebrations are being marred by a shameful recurrence of Neo-Nazi racism in Europe. Mezei, a major Jewish-Hungarian writer, survived the Holocaust as a child marked for murder. The poem below is the title piece of a forthcoming anthology of Hungarian Holocaust poetry in Thomas Land’s English translation (The Survivors, Smokestack Press, England, 2014). This poem has never yet been published in any translation. I sense its silenced vocal cords. And still that violin plays on. Its melody will never cease. I see a bald, a silver skull. I bless my father’s silver bones. Birdsong, dusk. 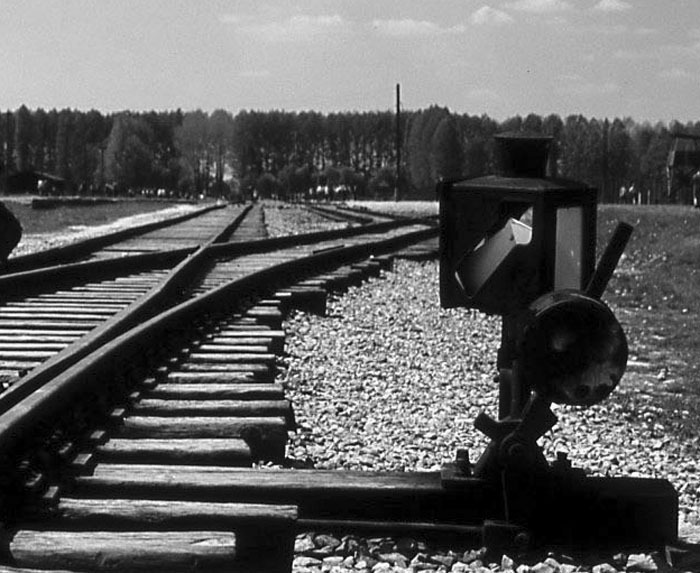 Departure from Auschwitz. could never be consumed by the flames. gold extracted from the dead. The gas decays. The bunkers crumble. to hold the living world in... love. beneath our gagged and distant stars. THOMAS ORSZÁG-LAND is a poet and award-winning foreign correspondent who writes from London and his native Budapest. His poetry appears in current issues of Acumen, The New Writer and Stand and in recent issues of Ambit, The London Magazine and Mistress Quickly’s Bed. THE POETRY of András Mezei (1930-2008) mourns the murder of some half a million Hungarian citizens committed by the Hungarian state in collaboration with Nazi Germany at the close of WW2. 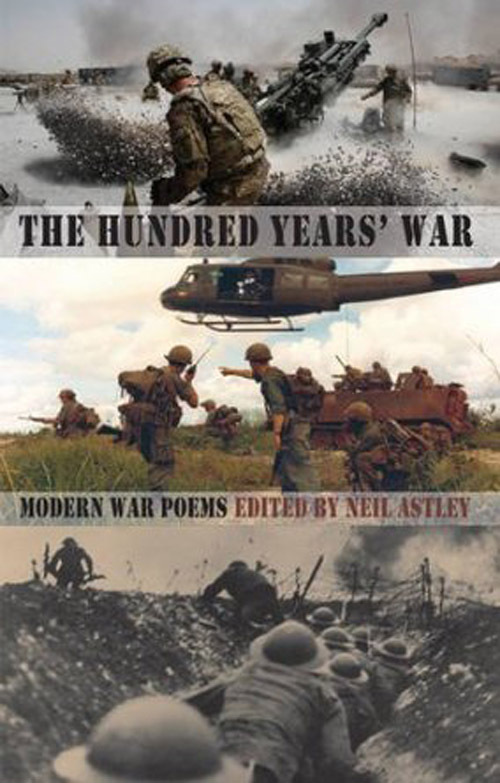 The following pieces will be included in The Hundred Years War, a landmark anthology to be published by Bloodaxe in April. More poetry by Mezei, a major Jewish-Hungarian writer, will follow in Survivors, a Holocaust anthology in Thomas Land’s English translation, to be released by Smokestack in June. we shall be taken shortly – but where? And then the wagons? Where from there? and mum has sent a card to dad. the place is tidied up for winter. Sanyikám, darling, I take my leave. And tell our father he’s in my heart. then kicked off her own. Before the pair: the river. lit by the frozen snow – and his machinegun. Jason, discharging his first-ever magazine. are whisked away and gone with the turbulent current. …Had he done that? Was there so little to life? among his booty, and my shirt. in the place of my looted wedding ring. Nearly 10% of them stayed alive. in exchange for a handful of notes. The deathmarch stumbled on towards Orhei. The peasants collected their wares. THOMAS ORSZÁG-LAND is a poet and award-winning foreign correspondent who writes from London and his native Budapest. His last book was Christmas in Auschwitz (Smokestack, 2010).